The Local Area - Symonds Yat, The Wye Valley and Beyond! Map Symonds Yat lies on the edge of the Forest of Dean and at the mouth of an impressive gorge, a characteristic of the beautiful Wye Valley. A haven for canoers, walkers and wildlife watchers the surrounding area offers something for all! Map Ross-on-Wye is a beautiful Herefordshire town situated just on the Gloucestershire / Herefordshire border. The town centre consists of a quaint marketplace surrounded by many shops and bars. A few minutes walk from the town centre brings you down onto the banks of the River Wye where you can enjoy a quiet walk or a relaxing pint in one of the many pubs. A favorite amongst artists, Ross on Wye has a very' Picture Painting' feel with the River Wye snaking past overlooked by the tall steepled church. Map Situated just over the border in Wales the beautiful town of Monmouth lies at the meeting points of the River Monnow and The River Wye. The town offers a range of shops and places of interest. Map The City of Hereford was one of the first towns founded in England after the end of Roman Rule. Hereford now boasts outstanding views across the city, which are dominated by the 11th century Cathedral situated on the River Wye. Hereford offers everything from the ancient to the modern. It's most famous attraction is the 13th century Mappa Mundi, a unique map of the world, and the world's largest Chained Library, with books dating from the 8th century. The Old Market Shopping Centre is a new complex with restaurants such as Waggamamma, Chimichanga and Nandos offering cuisine from around the world. The centre also has many brand name high street retail outlets and a new 3D and 2D cinema showing all the latest films. Map Coleford lies at the heart of the Forest of Dean. Situated between the River Severn to the east and the River Wye to the west. Formally a Royal hunting ground the forest has a long and varied history. 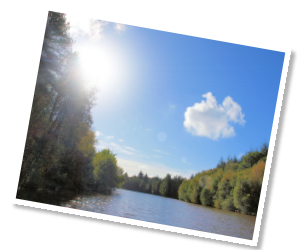 If you`re looking for a holiday or just a day out the Forest of Dean caters for all. 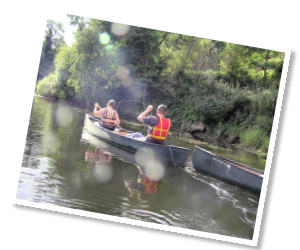 A quiet walk along some of the hundreds of miles of footpaths that criss cross the forest or a trip around the family cycle trail, a visit to the sculpture trail or canoeing on the wye. 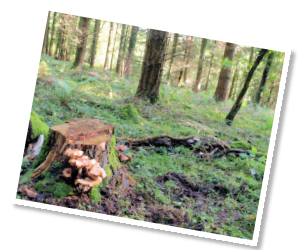 Whatever you choose to do the Forest of Dean has it all!